we all reach a point in our lives, after school and university, and employment or unemployment, where we stop trying to learn new things. for those of us who need to keep learning what’s new in our own field of work, and for those of us who don’t, its important to widen our reach and try to learn things that are completely new. the world is filled with so much information and knowledge and that is a privilege that we take for granted. there was a time when knowledge was a currency of the rich and upper crust ranks of society. today we live in the information age, whether its books or newspapers or the biggest source of all the web, information is always in our reach. so instead of limiting ourselves to what we are used to, we should all be able to be a little more curious from time to time to learn new things. reading books, even novels or stories, is a great way to expand your ability to retain and process information. and in so doing you become more open to new data. have you ever wondered how something works, or why something exists. there is no need to wonder, find out. a long time ago, that time when knowledge was a scare commodity, people would go far and wide to study, explore, and observe; in the hopes of gaining knowledge. if they had then what we have now, would it be lost on them to? 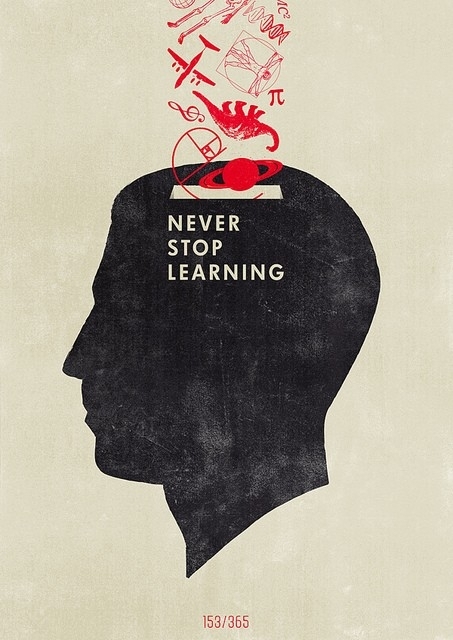 we’re never too old or busy to learn new things, that is something we shouldn’t forget.